State of the Union: Why Connecticut governor Dannel Malloy got an invite. Why is the Connecticut Governor a State of the Union Guest? His state has reduced the prison population—and the crime rate—at the same time. Connecticut Gov. Dan Malloy stops at a polling station on Nov. 4, 2014, in Bridgeport. One of the invited guests at tonight’s State of the Union is the governor of Connecticut, Dannel Malloy, who earned his ticket through the passage of gun control laws after the Sandy Hook massacre as well as a sustained and emphatic effort to reform his state’s criminal justice system. Obama has made criminal justice reform a top priority as his final year in office ticks away, arguing that the system we have keeps too many people in prison for too long, leaves most of them worse off than they were when they went in, and thwarts their ability to find work and stability upon release. Malloy, a progressive Democrat, has attacked the criminal justice system in Connecticut on a number of fronts since he took office in January 2011. And he has shown results that the president no doubt wants leaders from other states to take inspiration from. According to numbers provided to Slate by Malloy’s office, the prison population in Connecticut has dropped by about 22 percent, from a peak of 19,894 in February 2008 to 15,500 as of Jan. 1, allowing the state to close four prison facilities. The number of people on probation, meanwhile, has dropped from a peak of 57,723 in 2008 to 41,479 today. Crucially, these declines have been accompanied by a reduction in crime: According to the Governor’s office, violent crime and property crime are down 28.3 percent from 2008 to 2015—the lowest crime rate the state has seen in 48 years. 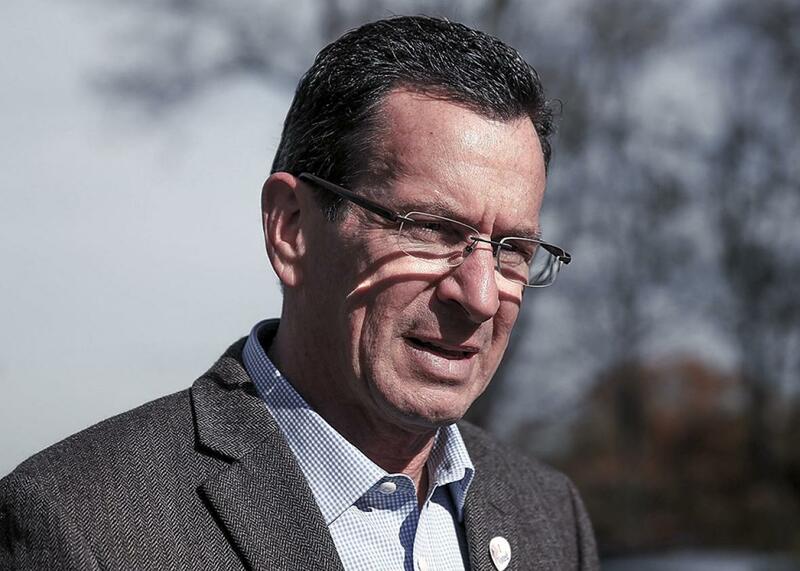 In a phone interview today, Malloy said his track record in Connecticut demonstrates that it’s possible to imprison fewer people without sacrificing public safety. “What I think we’re showing in Connecticut is you can be progressive on criminal justice reform and be rewarded by lower crime rates,” he said. One of Malloy’s goals, from the start of his time as governor, has been ensnaring fewer people in the state’s criminal justice system. Shortly after his inauguration, he pressed forward with a measure to raise the cutoff age for the state’s juvenile justice system from 17 to 18. Late last year, he went further, announcing that he would push to raise the cutoff to 21, while making it easier for people under 25 accused of certain less severe crimes not to have their youthful mistakes ruin the rest of their lives. Malloy also announced that he had asked the Connecticut Sentencing Commission to evaluate the state’s bail system, with the hope of finding a way to reduce the number of people facing pretrial detention. In the wake of high-profile police shootings and related unrest throughout the country, Malloy supported the passage of a police accountability law last year that provided funding for body cameras, called on police departments to hire more minorities, and required that police shootings be investigated by special prosecutors. In 2012, he oversaw the abolition of Connecticut’s death penalty. But the centerpiece of Malloy’s justice reform record—the achievement that the New York Times highlighted in a recent editorial praising Malloy and the White House cited in explaining his invitation to the Capitol—is the Second Chance Society, a law he championed and signed last July. The law reclassified all nondistribution drug possession crimes as misdemeanors and got rid of a mandatory-minimum sentence that required people arrested for possession in school zones to serve at least two years in prison. The law also included provisions for speeding up the process by which inmates apply for and receive parole and the process by which qualifying ex-cons who have done their time can apply for pardons that wipe their criminal records clean. Malloy’s office is particularly proud of the progress his state has made with young people. Between 2008 and 2014, the number of 15–19 year olds arrested in Connecticut has dropped by 54 percent, while the number of 20–24 year olds arrested has dropped by 29 percent. The number of people ages 21 and under serving time in Connecticut prisons has declined from 2,399 to 1,239. Malloy, who began his career in 1980 in the Brooklyn district attorney’s office, said his experience as a prosecutor instilled in him a sense that the justice system brought a disproportionate amount of punishment down on poor people and minorities. “If the Upper East Side was subjected to the same levels of crime that poorer and less racially integrated neighborhoods were, we would have changed the system a lot quicker,” he said.